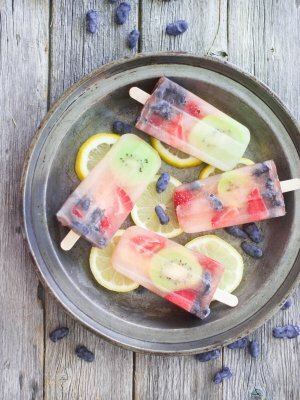 Refreshing and low in calories, these ice-cold treats will disappear like magic! In a bowl, mix coconut water, lemon juice and maple syrup. Set aside. Place fruit pieces in moulds, and pour coconut water over them. Freeze for at least three hours before serving.